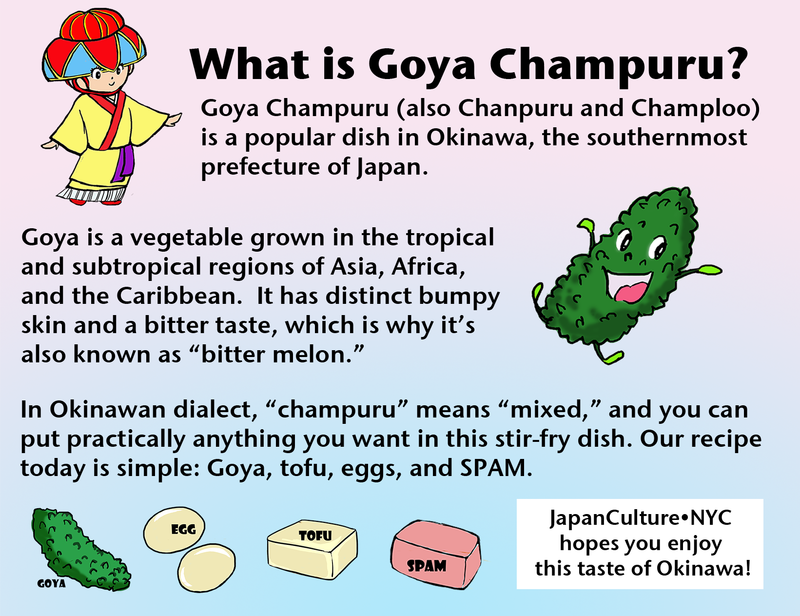 When we served goya champuru at the JapanCulture•NYC booth at last week’s Japan Block Fair, we were interested in people’s reactions. Special correspondent Jennifer Takaki and videographer Marc Hamaker interviewed New Yorkers and asked them what they knew about goya champuru and the ingredients that make this traditional Okinawan dish. Special thanks to Jennifer and Marc for getting man-on-the-street interviews and to everyone who helped at the booth! Read the complete recap of Japan Block Fair here, and to see more photos, please visit our Flickr set. Great video of the Goya Champuru tasting! Congratulations on getting so many people to interact!